Are you living in a big city? Are you getting exhausted by the morning stuttering and the stress of getting late for work? Or, in this beautiful summer weather, walk to work rather on foot, but are you too far? Do you live on the outskirts and enjoy nature? Or do you have it too far to the nearest bus / train stop and do not always get it? Or are you just looking for a new means of transport for your wandering? We have the electric scooter Mi Electric Scooter for you to solve all the above mentioned problems. scooters are very light thanks to the use of high quality materials. 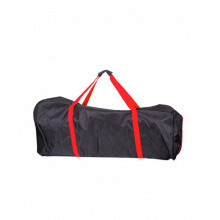 It is made of aviation aluminum, which guarantees strength and high durability. 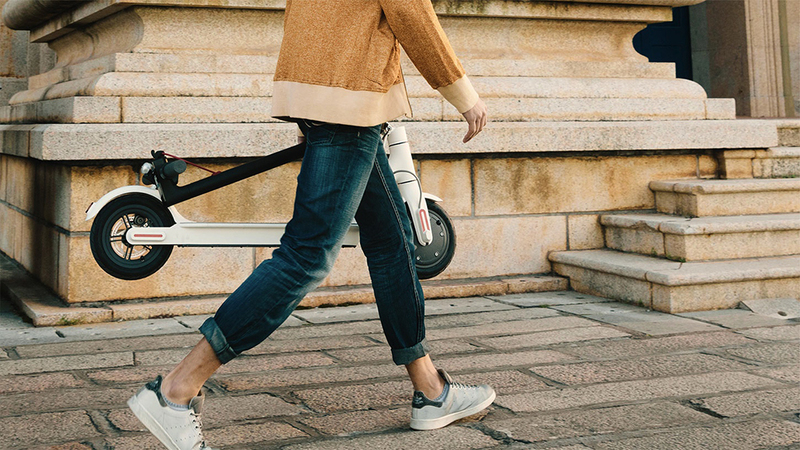 The surface of the scooter is coated with an aluminum layer that prevents the legs from slipping. The scooter weighs 12.5kg and can be easily folded if necessary. Just press the button and put the scooter down. The handlebar turns into a handle and you can easily carry it, whether in the public transport or in the apartment / cellar to avoid interference. To make your ride safe, the scooter is of course equipped with both rear and front light. The front is equipped with LEDs with a power of 1.1W and can illuminate the space in front of you up to 6 meters. The rear LED will illuminate when braking so that no one will miss you. Turning on the scooter is banal, just press the button between the handlebars, the engine starts running and you can go. 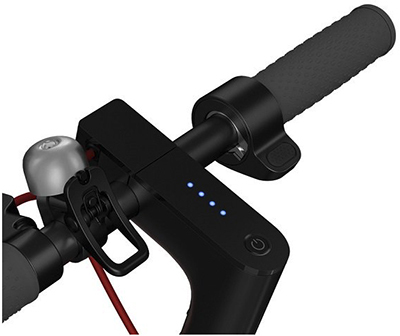 The handlebars also include LEDs that indicate your battery status, the handbrake on the left, the right-hand flap, and the bell. Mi Electric Scooter is equipped with an energy recovery system, an innovative energy used in luxury vehicles. If you go to an area where there are many hills, you can ride the energy you have from the initial charge and then regenerate the braking energy. In Mi Home , you can choose Cruise Control, which works by activating itself at 5 seconds with the same speed. Then hold the selected speed until you press the brake or gas. You can also turn it on to keep the brake light on constantly or the above-mentioned battery recovery.